Javier Hernandez’s World Cup adventure with Mexico is over, after they were beaten 2-0 by Brazil this afternoon thanks to goals from Neymar and Roberto Firmino. West Ham winger Manuel Lanzini could be left out of the Argentina squad for Tuesday’s clash with Spain after picking up a knock while on international duty. Who should be England’s No 1 at the World Cup? England manager Gareth Southgate is getting closer to finalising his 23-man squad ahead of this summer’s World Cup in Russia. Here, Martin Keown and Chris Sutton discuss the No 1 spot. Posted in Dailymail.co.ukComments Off on Who should be England’s No 1 at the World Cup? MARTIN SAMUEL – CHIEF SPORTS WRITER: Boris Johnson has compared Russia’s World Cup to the 1936 Berlin Olympics, with Vladimir Putin glorying in the event and manipulating it. KIERAN GILL AT THE CHIGWELL CONSTRUCTION STADIUM: West Ham eased aside non-league Dagenham & Redbridge as James Collins pulled up injured. 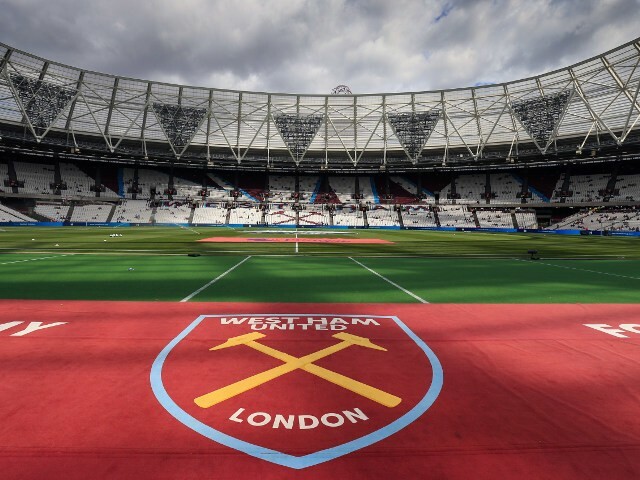 The London Legacy Development Corporation (LLDC) and E20 have already irked West Ham over the stadium’s capacity and continued refusal to change the running track cover. Morrison was thought of highly at Old Trafford and was part of their FA Youth Cup-winning side alongside the likes of current stars Paul Pogba and Jesse Lingard. Ahead of Gareth Southgate naming his England squad on Thursday, we’ll be examining his options across the pitch. It was reported this week that, although the club’s owners David Sullivan and David Gold want Moyes to stay on as manager beyond the end of the season, he is yet to make up his mind. Ahead of this weekend’s matches in the Premier League, Sportsmail brings you the latest squad news, odds and stats on every top flight fixture as it breaks. The majority of Premier League fans are in favour of VAR despite yet more criticism after Tottenham’s FA Cup fifth round replay against Rochdale. The January transfer window is in full swing and teams from the Premier League and across Europe are looking to strengthen their squads. Join us for live updates from your club. Which Premier League strikers are yet to score in 2017-18? For a Premier League to achieve their aims, whether it be challenge for the title or avoid relegation, one key asset they must have is a deadly striker. Some have found this hard to come by. Posted in Dailymail.co.ukComments Off on Which Premier League strikers are yet to score in 2017-18? We look at how Arsenal and Tottenham players fared on international duty ahead of the North London derby on Sky Sports Premier League .